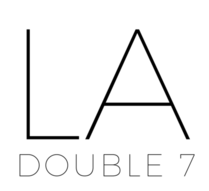 Tote Bags – LA Double 7, Inc. This over-sized striped canvas tote bag features zipper closure and a twisted yarn handle. Lightweight to carry and perfect for school, work, travelling or wearing to the beach. Stripes are a timeless pattern, so you can easily wear this bag throughout the years. Available in three fun shades, get them all to mix and match your style! We love this super lightweight canvas tote bag for this season. It is easy to carry and perfect for school, work, travel or the beach. The bright color is easy to pair with your favorite outfits!